Not many people believed Gilas Pilipinas would do well even in the Asian level. Then some people dared to dream and worked hard to bring the FIBA Asia tournament to Manila. The Phl placed second in that said tournament and qualified for the FIBA World tournament in Spain. Filipinos tempered their expectations for the tournament in Spain. Nobody thought the Phl could beat Argentina, Greece or Croatia. To make the second round, Gilas Pilipinas had to beat Puerto Rico then go all out vs Senegal. Well, Gilas Pilipinas reinforced by Andre Blatche nearly beat Croatia and Argentina, getting worldwide attention. Gilas Pilipinas could have beaten Puerto Rico but it wasn’t meant to be. This FIBA World experience however, would go a long, long way for the Phl. Our better-than-expected-performance in Spain has now raised the expectations of our fellow Filipinos. Being the best performing Asian team in Spain, some people expect to get the Gold. 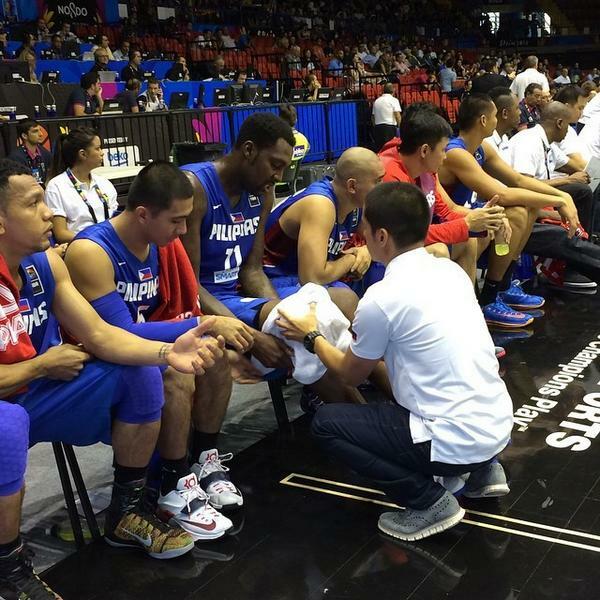 The Asian Games organizers disallowed Andre Blatche from playing but not Marcus Douthit. Can Douthit help us get the Gold? It’s a tall order so let’s see. As I watch the Phl play Iran in the Asian Games, I notice the Filipinos aren’t intimidated with the Iranians anymore. Two years ago, Haddadi had a field day against us by having a double-double and Iran seemed to be toying with us. Iranians are big and tend to bully smaller opponents. Take out Haddadi, Iran becomes nothing great. Just like Yao Ming to China. Skill-wise, Filipinos are better than the Iranians. But we are just significantly smaller and lighter. We can beat Iran but we need a good import. The Gilas pool has been together for over a year now. With team members practicing together and playing international tournaments, Gilas Pilipinas can only get better. Currently the Phl is ranked 31st but if one looks at the FIBA rankings, we can realistically go as high as 13th. With the current success of the team, I’m sure any Filipino basketball player would love to play for Gilas and his country. Now if only the other team owners of the Philippine Basketball Association (PBA) can lend their players foregoing business rivalries. 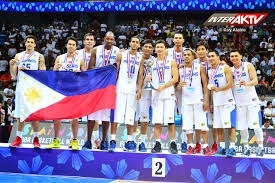 We all know basketball unites this country so Gilas success is Philippine success. Good luck Gilas! Make us proud. Puso!!! All my life I thought matigas ang ulo ng Filipino. I’m mistaken. Mas matigas ulo ng mga taga Senegal. Ask Ranidel de Ocampo! Gilas Pilipinas: Yes, The Filipino Can! In my previous blog entitled, “Take Heart Phl“, I mentioned about the Filipinos over-reliance on its import in the last 5 minutes causing the Filipinos to freeze and abandon their attacking style for the half-court set. In three of Gilas Pilipinas first four games the game was lost in the last two minutes. How tragic! But that’s basketball and one can only learn from defeat and move on. Against Senegal, Gilas Pilipinas was ahead most of the game until Senegal made a final run and sent the game into overtime. With about two minutes remaining in overtime, Andre Blatche fouled out and I’m sure not many people gave the Phl a chance. But no the Filipinos found a way to win through defense and conversion of free throws! Call it Serendipity. The Filipinos had to dig deep inside and trust the system. The players have proved to themselves that they can win on their own merits. This experience is invaluable and will be remembered for a long, long time. I want to thank all the Gilas players for sacrificing for their country, thank Chot Reyes and the coaching staff for showing a basketball style that is uniquely Filipino, and thank the team backers and managers for dreaming big, for showing their countrymen that we can hustle with the big boys and for reminding us that “Yes, The Filipino Can!” Mabuhay ang Pilipinas! 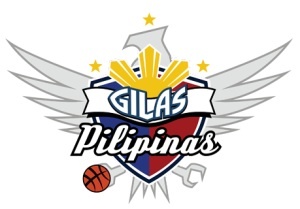 With the way Gilas has been playing lately, I will go out on a limb and say that we will beat Puerto Rico! and we nearly surprised Argentina. I say that the best international game I have ever seen Gilas play was against Argentina yesterday. Playing practically the entire first half without naturalized center Andre Blatche, the Philippines made their 3-point shots and even led Argentina by 10 points. Argentina made adjustments and led by 15 points before the Philippines made its mighty comeback behind the three-point shooting of captain Jimmy Alapag. Unfortunately, end game poise did in the Philippines but that’s nothing to be ashamed of. I admit I haven’t been following much the games of Puerto Rico. I understand Arroyo will be out. With him out, the hopes of Puerto Rico rests on Blackman and Barea. Will Blackman play unbelievably well against his “beloved” Philippines? I believe Blatche can take Blackman and our guards can contain Barea. Arroyo is a big loss for Puerto Rico and their team has been underachieving because of this. The Philippines matches up better with Puerto Rico as compared to the taller European and South American teams. I believe the Philippines will beat Puerto Rico if they truly learned from their first three games. Despite the losses, there are many positives to build on. Just focus, keep your head high and play your attacking game! Your nation is behind you and very proud of you! The international basketball community has taken notice of you. Heck, I wouldn’t be surprised if Philippines pwins the bid to host the next FIBA World Cup! Laban Pilipinas! Go for the win! Yes, the Philippines Can Beat Argentina! Let’s see . . . PH lost to Croatia by 3 points in overtime while Croatia beat Argentina by 5 points in regulation. So we should have a decent chance of beating Argentina, right? I would say that if the Gilas would play ten games with Argentina, Gilas would probably win at least one game. There’s always that chance. To beat Argentina, Gilas must play its best game and hope Argentina plays a mediocre game. Definitely Andre Blatche must play well for us to have a chance. Our team is undoubtedly the smallest team in the FIBA tourney but one of the fastest. Argentina is big and full of NBA veterans that are aging who probably would be slow and unable to run back to defend against a fast break. So the Philippine team has to capitalize on its speed and their 3-pointers because there is no way that they can to pound it out inside the paint. Moreover, Argentina doesn’t seem to play that well and is a way different team without Ginobili. I pray Andre Blatche, Jeff Chan, Paul lee, Jimmy Alapag and Jason Castro have monster games and that Marc Pingris hold his own against a bruising Nocioni. Good luck, Gilas! Our nation is with you! Laban Pilipinas! Thank You, Gilas Pilipinas! You make Us Proud! Finally, the FIBA World tournament is upon us. Before the game started, people didn’t give the PH a chance. Experts predicted a blowout while Filipinos hoped for a credible performance from their heroes. Well, Filipinos got more than that! The PH trailed most of the game but rallied and even led near the endgame. With the score tied, the whole nation prayed that the long shot of Jeff Chan would go in. But it wasn’t meant to be and the game went into overtime. So near but yet so far! During the overtime we were able to keep it close and somehow the game got away from us. Though we made one last run capped by a Blatche three-pointer, we fell short. Filipinos believe Jason Castro was fouled in the end by attempting a three pointer, but the refs hid their whistles. At such a crucial moment, I doubted the refs would blow their whistles. But what if they did? Could we have beaten Croatia? The basketball world would turn upside down if we did! Ah…what-ifs are so dangerous. Had we lost without even leading the game, everyone will give kudos to the team. But the thing is, we led and had a chance to win the game! Sayang! 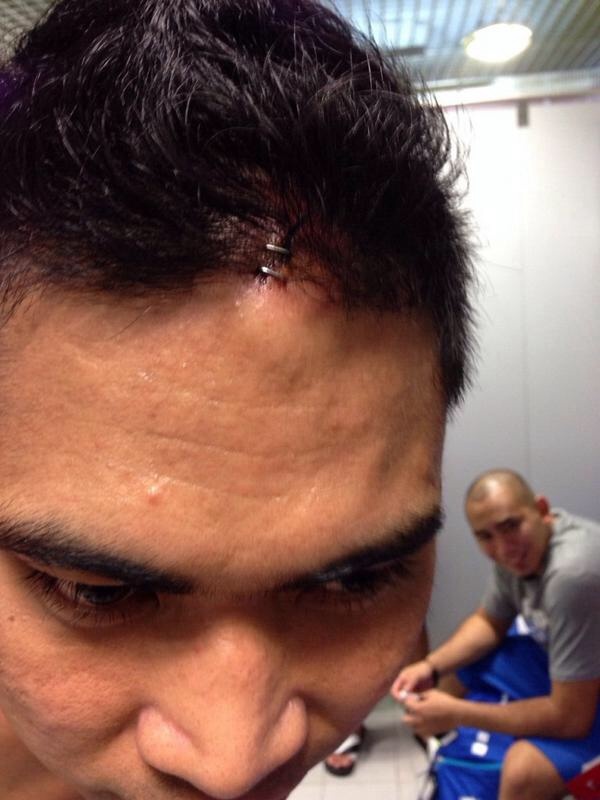 Nothing to be ashamed of Gilas! You make us proud! If we feel the pain, we are sure you guys are feeling even more pain! This was a good game for you so build on the experience and maybe – just maybe – upset Greece. I’m sure the other teams in the bracket will not take Gilas Pilipinas for granted anymore. I would like to take this opportunity to thank the Gilas Pilipinas players, coaches and managers for sacrificing for our country. They believed so we should believe too! For those supporters and OFWs who took time out to watch the games and support the team: Mabuhay kayo!